We foster and promote a “whole person” approach to wellness, health and self-sufficiency, in a safe, traditional and culturally meaningful environment, to ensure the legacy of the Coquille Indian People. We serve Coquille Tribal family members; American Indians and Alaska Natives; employees of the Coquille Indian Tribe and its subsidiary entities; and the general public. 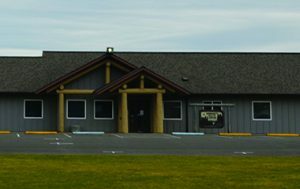 The Coquille Indian Tribe Community Health Center is recognized by the Accreditation Association for Ambulatory Health Care Inc. (AAAHC). Achieving AAAHC accreditation demonstrates a high level of commitment and effort and demonstrates the Coquille Indian Tribe Community Health Center’s dedication to providing quality health-related services. The Community Health Center initially received accreditation in 2001 and has subsequently passed national reviews in 2004, 2007, 2010, 2013, and 2016. We want you to be informed about your rights and responsibilities as a patient/client, including your right to create Advance Directives. The Community Health Center is dedicated to protecting your privacy rights in accordance with federal law and medical ethics. If you have a complaint, the Community Health Center wants to hear it, resolve it, and learn from it. Depending on your needs, our Family Support staff may be able to help. Our Tribe’s Health Advisory Board is a six-person board that advises Tribal Council on health care. To contact the board, click here.